East Woodburn Boarding Kennels gives your dog the care and comfort he or she deserves, and we try our best to make your dog feel at home. Don't take our word for it! Come and visit us and see for yourself! Our exercise areas range from 38 square feet to 51 sqaure feet so your dog will have plenty of space to run around. Take a look at our kennels for more information and pictures. 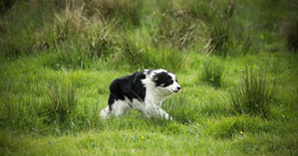 Why not let Mike use his years of experience in sheepdog training pass on his expertise to your dog during its stay with us? Your dog will learn new things and will enjoy the constant attention! East Woodburn Boarding Kennels in Northumberland are run and supervised by Mike Northwood, a well known sheepdog handler and sheepdog trainer. 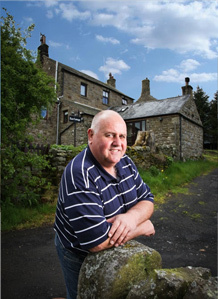 Mike has competed at many sheepdog trials across England and has represented England twice at the International Sheepdog trials. We are a fun, friendly, family run kennels with our priority being the welfare, security and happiness of your dogs. Dogs dispense friendliness and love freely without question. They have the power to cheer us and any neglect fills us with great repugnance. They are utterly dependent on us. It is our capacity to make their lives miserable or happy and only the dedicated dog handler can recognise when a dog needs nurturing in a certain way. Mike Northwood has had dogs all of his life, both pets and working. He is a well known sheepdog trainer and handler and has competed at many sheepdog trials across England, from which his greatest achievement has been to represent England, twice, in the International Sheepdog Society’s, International Sheepdog trials. Mike has had more than four decades of practical experience and his knowledge of dogs has been gleaned from the things he has seen and done. Most importantly, he is a dog lover, deeply involved with and attached to his own dogs. His compassion with dogs has illuminated both his personal and working life and is rewarded by the love his dogs give back to him. It is this love and knowledge of dogs that Mike utilises to ensure that all dogs in our kennels are treated as if they are one of our own, part of the family, with love and care and attention. It is our goal to ensure that during their stay they continue to feel cherished and nurtured and part of the family. 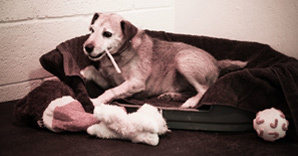 Our 12 kennels were purpose-built in July 2010 and offer individual heating, lighting and comfort. Why not take a look for yourself?